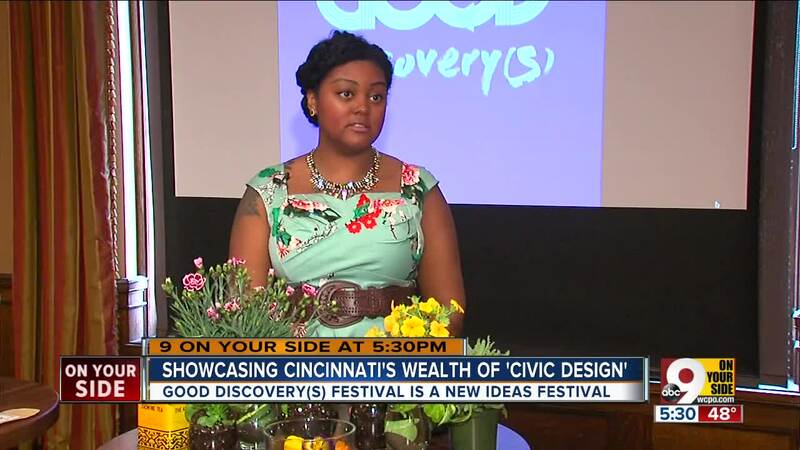 Abndnce Founder Kaia Goodwin will be a presenter at Good Discovery(s) on March 26, 2019. 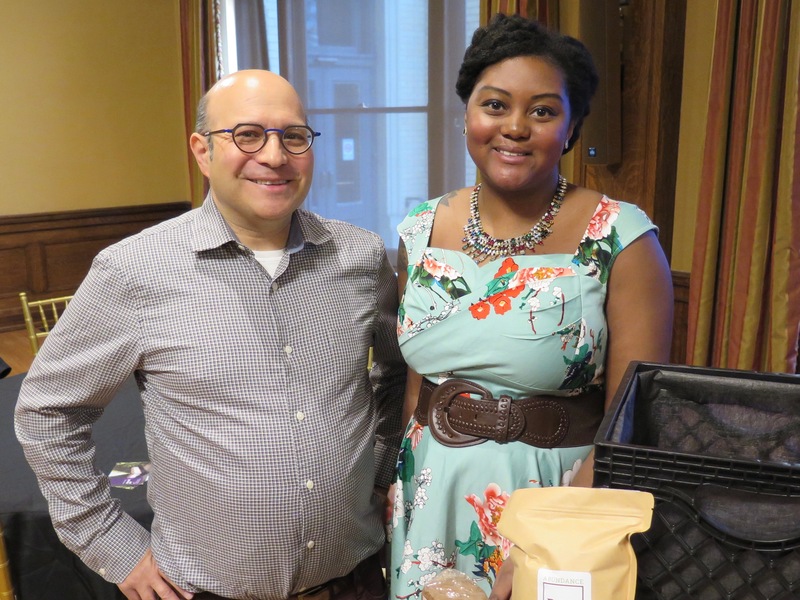 CINCINNATI — The way Steve Ramos sees it, Cincinnati has a lot more people and organizations working to make the community a better place than most of us realize. A new daylong “ideas festival” aims to shine a spotlight on that work. Called Good Discovery(s), the event will bring together artists, entrepreneurs and creative professionals to talk about their work, answer questions and encourage those in attendance to make an impact of their own. "We wanted a festival about ideas, insights and inspiration from the people in our community that are impacting our city for good,” said Ramos, a co-founder of Good Discovery(s). Unlike the standard business development conferences that many designers and creative professionals attend, the Good Discovery(s) event will be inexpensive and focused on workshops and interactive sessions where those in attendance can work closely with the presenters, he said. The event is scheduled to start at 8 a.m. March 26 at Memorial Hall in Over-the-Rhine. It will have keynote speeches and breakout sessions throughout the day. There will be a lunch break at noon, and the festival and will wrap up with cocktails and networking at 6 p.m. Tickets are available online for $35 or with student passes for $15. Kaia Goodwin is the founder of a food justice education organization called abndnce and will be one of the festival’s presenters. Her presentation, Seeds of Discovery: Reconnecting to our Natural World, will explain the health and medicinal benefits of common plants and how people can better connect with the environment. Goodwin’s nonprofit started as an idea born from the decision by The Kroger Co. to close its Walnut Hills grocery store in 2017. Goodwin got a grant from People’s Liberty to bring container gardening to people who were no longer close enough to walk to a grocery store with fresh produce. Many of Good Discovery(s) presenters, in fact, got started with grants from People’s Liberty, the philanthropic lab based in Over-the-Rhine. People’s Liberty was not involved in planning the festival but sees the event as a way to showcase the good work that has come from those investments, said Jake Hodesh, the vice president of operations at People’s Liberty. Tina Dyehouse is another Good Discovery(s) presenter who received a grant from People’s Liberty. She’s the founder of City Ombudsman, a website that collects complaints and works to solve problems to improve the quality of life in Cincinnati. Dyehouse said she had not thought of herself as a creative do-gooder until Ramos invited her to be part of the festival. “It’s really an expanded version of who is doing good and who is creative and who is a helper in our community and how we can all work together,” she said. Dyehouse hopes her presentation will help people understand how bureaucracies operate as a path to solving their community's problems, she said. She also hopes Good Discovery(s) broadens the public’s view about “civic design” -- what it is and how people can be part of it. Steve Ramos, left, and Kaia Goodwin. Ramos said he hopes the event will help people see Cincinnati through a new lens, too. “So we know we’re a marketing hub, right. The business data proves that. We know we’re a branding hub because of our corporate anchors,” he said. Ramos and the other people behind Good Discovery(s) argue that Cincinnati also is a hub for civic design. More information about the Good Discovery(s) festival on March 26, including how to buy tickets, is available online.